Amara’s Daughter is a turbulent, rite of passage story tracing Maryan’s growth from naive schoolgirl to the woman destiny needs her to be. Maryan pressed her toes into the arena floor and held her sword ready for Nasty Asti’s inspection. Checking her grip, she glanced at the tower on the arena perimeter. Weapons class would end when the sun reached the tip of the spire. Until then, she had to endure the attention of Asti the Red, legendary warrior and one-time companion of her mother. Asti hitched her signature red cloak over her shoulder revealing her gleaming breastplate. A deep scar creased her face, contorting her once-beautiful, ebony features. A single plait ran from the nape of her neck, the badge of the legendary virgin legion. Her good eye opened wide, whilst the full horror of her puckered eye socket poured scorn onto Maryan. “Fleur, come forward,” Asti commanded. The Queen’s daughter stepped out of line. “Yes, Class Leader.” Ash blonde hair scraped severely back from a high forehead, her willow-thin neck showed every sinew. Maryan always envied Fleur’s slim figure and dancer’s grace. Maryan parried, but felt her sword almost whipped from her hand. Fleur attacked from every direction. A shadow moved and somebody stepped clear of the circle around them. Maryan blocked out the commentary. She realised that Fleur dipped her head slightly each time she intended to strike. One feint, another and then another, she waited for the telltale dip. It came and instead of raising a parry, Maryan drove her balled fist under Fleur’s jaw. Fleur staggered and Maryan leapt forward. A foot slipped between her ankles, tripping her. She rolled, thumping her head into the arena floor. Twisting, she saw one of Fleur’s cronies, Violet, grin. Fleur glanced to check Asti wasn’t watching before drawing her sword back. Her head dipped and Maryan could see she was going to follow through. Powering her leg straight, she crashed her heel against Fleur’s crotch, folding her double and leaving her writhing in agony. Shaking with rage, Maryan rolled upright and raised her foot to stomp on Fleur’s face. “Tell her to hold back!” Maryan pointed at Fleur. Glad to escape from the sycophants around Fleur, Maryan hurried through the single exit from the arena, the Tunnel of Heroes. Even without the torches that would light the passage for a contest, the air reeked with the stench of tar. Alone in the changing room, she securely racked her weapons and body armour before entering the steaming bathhouse. Grateful to hide, Maryan leant back in an empty corner. A cascade of whys poured onto her. Why was life so hard? Why did she have to be the daughter of a famous mother? Why had her mother vanished so mysteriously that she’d remain a legend forever? Her tears mingled with the sweat running down her face. The chatter of the other girls making their way from the changing rooms into the bathhouse intruded on her misery. Most of them shared a common look, that of a lean, taut-muscled warrior. A few stood out as different. Small and dark, her blade-sister, Sami, came from the handmaiden caste, the first girl from her family to switch to warrior training. Even in the steam, Maryan could pick her out. Her unruly hair bounced in a curly halo. Her feminine curves outdid the statues adorning the palace corridors. At the other extreme lumbered Rose, another of Fleur’s cronies, barrel-like and quick with her fists against Fleur’s enemies. Not that many confessed to being Fleur’s enemy. She ladled charm thicker than honey on any who might aid her clamber for the throne. Unlike other lands, Serenia didn’t have hereditary royalty. The people selected their queen from the best of the nation. The last two queens had been of Fleur’s bloodline and she intended to make it three. Unable to face anybody, Maryan peeled away from the tiles and headed for the cold plunge. Steam swirled, following her into the antechamber. She opened the exit and gasped at the chill. The plunge stretched out in front of her, a pool continually refilled by the icy streams flowing from the mountains. Without pausing, she exploded into an arching dive, attempting to reach the mid-point before touching the surface. The cold crushed the breath from her lungs, but she completed the mandatory length underwater. Her hand brushed the far wall and she scrambled out. “Serenian warriors are women carved from ice with blades of fire,” she muttered through chattering teeth. Not for the first time, she wondered if her sire had come from warmer climes. In the dressing room, she quickly dragged her clothes on over her damp skin. Her head was still trapped in the folds of her robe when she heard the tap of sandals approaching. Maryan forced herself free of the clinging robe and watched Sami’s flail become an almost invisible circle before slapping into the leather holster she wore on her thigh. Retaining her handmaiden traits, Sami always dressed more extremely than the rest of the cohort. Stretched tight by the swell of her hips, her skirt hung cut to a point below her knee on one side, opening in a gaping slash high on the other leg. “Should you take that?” Maryan nodded at the flail. “It’s not a weapon, just a training aid.” Sami wrinkled her nose. “It helps my coordination.” She reached up tilting Maryan into a kiss. Maryan followed, puzzled by her friend’s constant need to browse shops, but glad of the company. She leapt at any chance to visit the docks where she’d last seen her mother. On that occasion, she’d been part of the academy guard. Her mother had turned at the top of the gangplank to wave at the cheering crowd. She’d been destined for the Baraland Games with the honour of the Serenian nation resting on her shoulders. After weeks of competition, Amara had defeated all-comers and been crowned Ultimate Warrior. On the night of her final victory, she’d vanished. In the following five years, not even the vaguest rumour of her fate had emerged. The incident had soured international relations, confirming Serenia in their status as an isolated feminine state. Sami tugged Maryan’s hand and they escaped the forbidding confines of The Academy. Their route took them through the imposing black doors of the main entrance and around the side of the arena down into the main town. Where The Academy remained formal and black, The Centre, the home of the Handmaiden caste glistened. Clad with sparkling white marble, a wide staircase led up to a golden doorway. A queue of boys waited outside the doors and Maryan slowed down to eavesdrop on their whispered conversation. “They don’t hurt us, do they?” a pale-faced boy said. He was peering along the line winding inside the building. “Don’t be daft,” a much larger lad scoffed. “They take you, break your heart and rip it still beating from your body,” He grabbed at the young boy’s chest and raised his hand pretending to hold a pulsing heart. Maryan shook her head. Each school for boys had to provide ‘volunteers’ for the trainee maidens to practice seduction and allure. The experience proved a source of sniggering amongst both genders. The square outside The Centre heaved with people milling around the chaotic assembly of market stalls. Farmers from the country brought everything from bread to live pigs for sale. Stalls selling clothes made of stout Serenian wool had also started to display lighter, linen garments ready for the brief summer that still seemed an age away. Arlaine appeared at the entrance and all eyes turned to her. Where Sami barely reached Maryan’s chin, her sister easily matched Maryan’s height and moved like a cat. Draped in a sumptuous fur coat, she swept an armful of dark curls back over her shoulder and grinned. “Sami, Mari,” she squealed, wrapping them in a double embrace. Maryan felt awkward. Warriors didn’t hug, but Sami’s family did. They hugged, kissed, stroked and generally seemed to be touching all of the time. Men stood behind many of the bustling stalls. Some risked a flirtatious call to get the attention of the three women, but their words died when Sami glared in their direction. The chatter that usually lifted her dark thoughts niggled at Maryan. “I don’t feel well,” she said, pulling free of the two sisters. She walked away, imagining the sisters’ stare drilling into her back. Once out of sight, she headed to the docks. She didn’t want to visit the safety of the trading house, but wanted to go into Portside, close to the sea. “Hey, Maryan, what are you doing here so late?” the guard shouted. As most of the merchant vessels were operated from Walsholm, guard duty on Portside was only assigned to the toughest warriors. This guard, Trista, had so much scarring that her face looked like a jigsaw with some pieces missing. In addition to her twin blades, she carried a hefty quarterstaff. Maryan knew it would be stained with blood before dawn. “Hi Trista, it’s just a quick visit. You know how things can get.” She attempted a forlorn expression. Amara had been the hero of the nation, beloved of all the warriors. No matter how tough the guards were, they usually took pity on her. Maryan made her way through the ancient side streets. At one time, Portside had been part of the city. Now, as a partitioned enclave, the place was home to foreign prostitutes and drug traders, leaving the laws of Serenia suspended at the gates. Maryan didn’t care. Having spent so much time gazing out to sea, she felt safe amongst the ramshackle warehouses. Dangling her feet over the edge of the wharf, she was hypnotised by the lapping water. It hurt that her mother was a fading memory. Did she really have blonde hair and had she ever worn it unbound from its tight plait? The sun dipped towards the horizon and the coarse laughter of the seedier denizens of Portside warned her to leave. Numbing cold had seeped into her legs, making them wobble. She tried to stomp life back into them as she made her way through the shadow-filled alleyways. A girl of The Academy, one year from graduation, shouldn’t fear the dark. A punch bounced her head off the wall. Rough hands hauled her around. Drink-laden spittle flecked her face as a sailor pushed against her. Maryan screamed and kicked out. Punches rained, snapping her head sideways. She started to fold. “Spread her on that barrel,” one shouted. The sailors dragged her onto the rough wood. Strong hands yanked her legs wide. The ringleader leered, tugging at his belt and opening his breeches. “Sweet pea, you and me are gonna dance a jig now.” Fumbling, he pressed between her thighs. His eyes widened. A torrent of blood coughed from his mouth, washing across her breasts and stomach. “Get down.” A hand pushed her roughly, slamming her head against the ground. A shadow flickered and a steel blade gleamed. Lights flashed behind her eyelids. She could see feet moving. The sailor lay alongside staring flat-eyed and motionless. What had he said? They were going to dance. Feet scuffled before one and then another attacker fell. A fourth scrambled to run, but something stopped him. 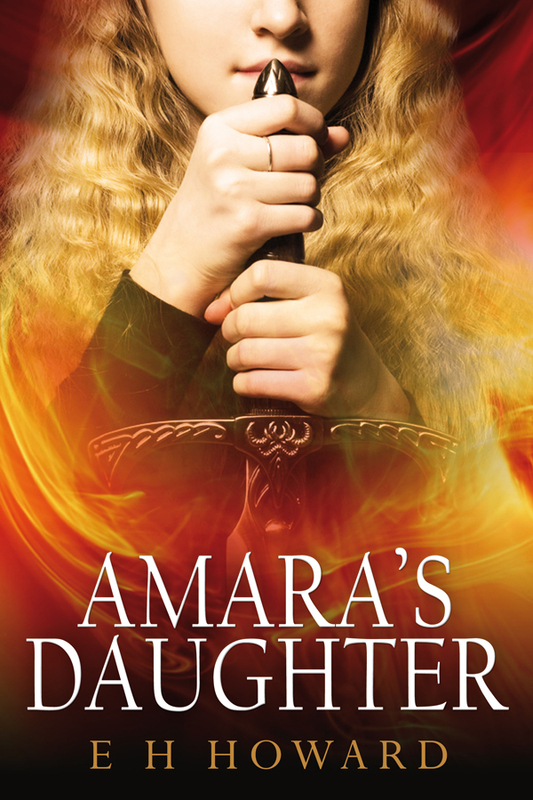 Trista stood to one side, watching as Asti wiped her blade across the chest of a dead man. Grunting, she helped Asti haul Maryan to her feet and wrap the red cloak around her. “Try not to bleed on it, or you’ll pay for a new one,” Asti said. “I said I’m okay,” Maryan protested, her numb fingers struggling to hold the cloak shut.